Can You Get A Harassment Charge Dropped In NJ? 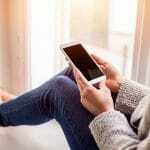 Are you facing Harassment charges in NJ for texting someone? Or did you call that person too often? Whatever the reason for your arrest, don’t panic. These are very common charges in NJ. Under NJ law, Harassment charges are considered a Disorderly Person’s Offense. The penalties include up to six months in jail, a $1,000.00 fine, and a criminal record. The NJ Harassment statute is intended to discourage certain types of behaviors. Harassment charges are usually added as “companion” charges to other charges like Simple Assault and Aggravated Assault. Whether you texted or called someone too many times, now you’ve got a problem. But we’re here to protect you. Harassment charges are mainly heard in NJ Municipal Court. In some rare circumstances, Harassment charges reach 4th degree status. However, for the most part, these charges are issued along with Terroristic Threat and Simple Assault charges. This “family” of charges usually emerges from “love triangle” situations or domestic violence Temporary Restraining Order types of cases. So, How Do You Get NJ Harassment Charges Dropped? There are many different strategies for getting Harassment charges dropped in NJ. First of all, once you have been charged with any crime in NJ, it is up to the Prosecutor to either go forward, offer a plea deal or drop the case. It is the Prosecutor’s decision and only the Prosecutor’s decision. The victim can express no interest to proceed, but that’s about it. It’s the Prosecutor’s case. The best way to persuade the Prosecutor to drop your Harassment charges is to show that your actions do not reach the level of Harassment. As your defense team, we show the Prosecutor all of the evidence that helps you win your case. The Prosecutor only has the alleged victim’s evidence & accusation against you. It is our job to show that it’s everyone’s best interest to just drop the charges. Oftentimes, we will get the Prosecutor to offer a plea deal and drop the Harassment charges that way. 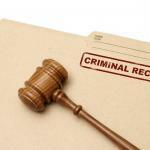 Instead of a criminal record, we could successfully plead your case down to an ordinance or a “probation-type” deal. There are many creative & legal ways of getting your NJ Harassment charges dropped. Use our online FORM for a Free Strategy session.